I originally wanted to write something here about safety in F1 and the near misses the sport has had since the death of Ratzenberger & Senna. But I can’t, I don’t feel right writing anything about safety in light of Bianchi’s accident all I can think of is his poor family in that hospital in Japan. So I take this opportunity to wish his family strength and Jules a full recovery. Now the other big F1 news to come out recently is that of new races in new locations. With the return of the Mexican Grand Prix on the horizon and now another potential race in Vegas is being talked about as a possibility, I thought now would be a good time to look at the new location for the new host of the European Grand Prix, Baku and understand whether F1 is in for a long and fruitful relationship such as I foresee in Austin or if Baku will be a flash in the pan a lá the Korean Grand Prix. First off lets examine the unknown quantity that is Baku. Baku is the capital city of Azerbaijan on the western coast of the Caspian Sea and I’m willing to bet for almost every F1 fan it is a totally unknown city. Well a little history is needed to understand the nature of this place. It was a member of the Soviet Union until 1991 which already conjures in the mind a city of vast damaged roads and massive clusters of hideous concert housing projects. But the city’s history is older than that and thankfully it is something the people have managed to hang on to over the years. The cities previous golden period was as a main port on the Silk Road from the Asian steppe to Europe and the city holds some of the buildings of that time in the form of the ancient city walls and the caravansaries which brought the city to prominence all those centuries ago. Now Baku is under-going a similar resurgence for similar reasons of trade, with an oil pipeline moving liquid gold across the country into Turkey and Russia generating massive revenue for the country. The city is now awash with building projects, a new football stadium, facilities for the European Games to be held next year and an arena built-in 2012 for the Eurovision song contest which it hosted without a problem. The speedy build time and the fact that completed buildings are still standing should quell any fears F1 fans have about a slapdash construction of the new track. 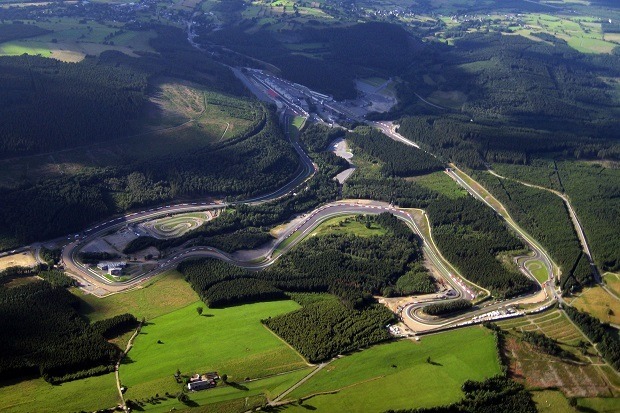 So with a massive amounts of culture and history as a backdrop to a F1 track that will built on time and without cutting corners we should be looking forward to the upcoming race wholeheartedly. But, and there’s always a but, the country has come under fire for the political dealings of its government in the past few years. Not to dive into the details but the country has locked up many journalists on what the Human Rights Watch believe to be spurious charges, the Presidential term was abolished making any elected President leader for life and the repeated putting down of anti-government protests with the use of targeted arrests of opposition leaders and the use of water cannons. Now for some of you this method of running a country is enough for you to denounce the fact that Bernie has decided that he should bring one of the world’s most high-profile spectator sports to Baku. But beside the moral or ethical implications we as fans must ask what are they doing it for? Bernie’s motivation is the same as always; to earn the money to run the sport and that hasn’t and won’t ever change. But then why do the moguls and the President want this race to happen? Why did they host the European Song contest? Why is there 3 flame towers which at night show video of the Azerbaijani flag on their exteriors? If they were just trying to modernize then why build a multimillion dollar cultural center or host your own racing series event? It’s because the country is fiercely proud but at the same time it is rapidly trying to transform itself into a 5-star destination for the super rich, and is using F1 as a way of showing off Baku to the great and the good and the trust fund owners. It is also because they are announcing themselves to the rest of the world, showing that they have arrived and are ready to economically go toe to toe with the Singapore’s and the Dubai’s of the world. But how long can it last? As a F1 fan I’m beginning to not see the point. Toto Wolff complains about races not being attended, fans can’t get access to live races because of subscription costs and the new races that have been announced or are being discussed Sochi, Baku and Las Vegas (with Mexico being the slight exception because of their racing heritage) reek of new money and tourist board agenda. Will it be worth it? Sochi may survive due to it’s insanely rich backers and its small capacity for a while but Baku I fear is so reliant on moguls rich on oil money, which is being thrown around left, right and center on skyscrapers and ski resorts, that I don’t know if it will last long at all. And if the organizers are keen to keep the race well how long is it before the oil money is suddenly not worth what it once was? And the Caspian Sea pipeline becomes a real a white elephant leaving the organizers to back out? Azerbaijan is so on edge between totalitarian and Democratic, traditional culture and modern extravagance, old and new, boom and bust that I feel like it is a risk for F1 to go there because the politics may become center stage as it did in Bahrain or the organizers may run out of money but desperate keep the show on the road even though no ones in the stands or someone maybe arrested for complaining about the place on Twitter, the country (and how it is run) is such an unknown quantity that I fear the worst as much as I look forward to the race. You may think this is me getting a little worked up here but what will keep us in places like Sochi and Baku? The festival atmosphere of tracks like Silverstone or Austria? The racing culture of places like Monza and Spa? The spectacle of Monaco or Singapore? No its money, pure and simple. But wouldn’t we all enjoy the sport more and attend more races if they were in Turkey or France? Wouldn’t viewing figures and the racing be better if Bernie had excepted 50 million less for the Turkish GP fee so it could be on the calendar for 5/6 years? It is all hearsay and speculation I know, but the facts suggest that not many other than the super rich will attend Baku, whereas I would save all year round to sit in the rain in a Belgian forest, and I will be up at the crack of dawn to watch races in Japan. And what do we know about super-rich holiday destinations like Sochi and Baku? Nothing. Yet.